Canada is one of the few immigrant friendly countries in the world and attracts immigrants from various places and with diverse backgrounds. Canada has a very robust and stable economy comparable to the US, a high standard of living, and low crime rates. The education opportunities for young people are well known, making Canada the number one choice for raising a family. Visitors Visa or Temporary Resident Visa – TRV : This visa is for a visitor to Canada for a temporary purpose such as for vacation, or to visit family and friends. Work Permit: This visa is for work in Canada if you have a job offer in Canada. 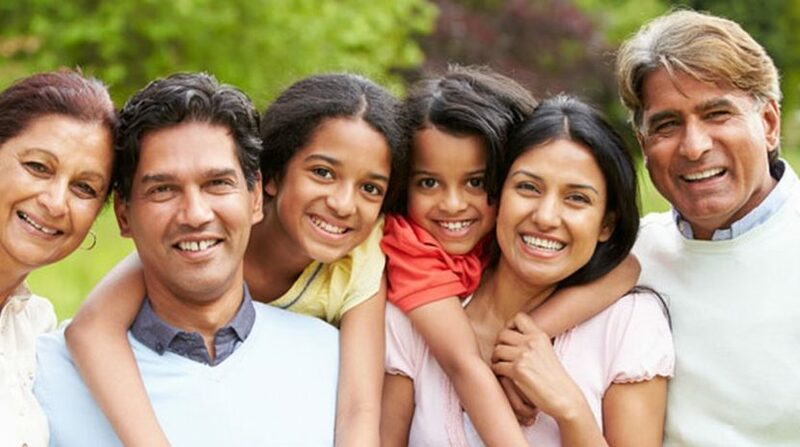 Family Sponsorship: This visa is for sponsoring a family member to join a permanent resident or Canadian citizen in Canada. Canadian Experience Class: This visa is for foreign students and temporary workers with at least one year of Canadian work experience. Business Immigration: This visa is for businessmen entering Canada as investors or entrepreneurs. Provincial Nominee Programs (PNP): This program is run by the different provinces and selection is based on each Canada’s provincial requirements. Humanitarian and Compassionate Application (H & C) : This program is for individuals residing in Canada and have no legal status. They have nevertheless established themselves and made Canada their home and would suffer undue hardship if they are required to leave Canada. Refugee Class: These are people who have been forced to flee their country because of persecution, war, or violence. They also have a well-founded fear of persecution for reasons of race, religion, nationality, political opinion or membership in a particular social group. They are unable to return home or are afraid to do so. War and ethnic, tribal and religious violence are leading causes of refugees fleeing their countries. Asylum Seeker Class: These are people fleeing their own country due to persecution and seeking sanctuary in another country. They can apply for asylum – the right to be recognized as a refugee and receive legal protection and material assistance. An asylum seeker must demonstrate that his or her fear of persecution in his or her home country is well-founded. There are various applications your lawyer can help you with. Your lawyer knows immigration laws that apply in processing an immigration application. Filling the form correctly and filing the forms in the right office should be done by your lawyer. Government requests can be inundating and confusing but must all be responded to timely. We immediately file your immigration application when particular categories of applicants “open” for filing. We cannot guarantees any particular outcome. But we are confident that based on our experience and knowledge of immigration laws, we can handle your case and increase your chances of a favourable outcome. We understand the immigration process. Federal Skilled Trades Program (FSTP). That individual can enter the Express Entry pool for possible selection to receive a Notice of Invitation to Apply for permanent residence. Immigrants are chosen as permanent residents based on their ability to settle in Canada and take part in the Canadian economy. Express Entry application intake measures are issued via Ministerial Instructions (MIs). As of June 28, 2017, at 13:17:07 UTC, the current benchmark for foreign nationals as published in the Canada Gazette, Part I, on December 1, 2014, and as amended from time to time, is a total of 449 points or more under the Comprehensive Ranking System. An applicant becomes eligible to receive a Notice of Invitation to Apply (NIA) for permanent residence. Additional points are given if a candidate has at least one sibling living in Canada who is a citizen or permanent resident; has strong French language skills; is nominated by a province or territory or has a valid job offer from an employer in Canada. A score that leads to an NIA is not stagnant but relative to the particular cut-off date. It may be up today and down tomorrow and vice versa. Some people erroneously refer to this Express Entry process as the Canadian visa lottery. Canada has no visa lottery. It is now also optional to create a Job Match account with Job Bank. Applicants will need to take a language test as part of the qualification process under the Express Entry. Provinces and territories can also recruit applicants from the Express Entry system through their Provincial Nominee Programs to meet local labour market needs. Credentials obtained outside Canada will have to be assessed against Canadian standards. The best place to apply for a credential evaluation is WES Canada. However credential evaluation is not mandatory if an applicant has at least one year of recent work experience in Canada, or the so called Canadian Experience class. Work experience in a Skilled Trade (skilled manual work) will also suffice. Notwithstanding this exemption, an applicant under the Express Entry pool is better served adding credential evaluation to his/her application in order to increase scores and chances of being sent an NIA. Applicants need to know the skill type of their job, work experience as well as for the job they plan to have in Canada. Look at Canada’s job classification system the National Occupational Classification or NOC. The NOC tells you whether the proposed work experience is relevant under one of the three federal programs. For more information please fill out our initial assessment form and we will get back to you within 24 hours.